So, I know a lot of you have been wondering about the second book in the series. Please know that I’d love to have the finished product in my hands, but unfortunately, I don’t. It is in the works, trust me, and I do aim to have it finished as soon as possible, but I can’t confirm anything solid at this stage. I was very fortunate to be able to publish Enchantment on my own, but the next stages are mostly out of my hands. For starters, I need to complete the second manuscript, which can be difficult when factoring in my day/night job, a healthy mind/body and family commitments. After the writing and editing is done, the next step is to find a publisher. To publish the next book in the same fashion as Enchantment would be an enormous financial strain. It was and is still my dream to be picked up by Simon & Schuster, the big incentive company of my current publishers, Archway Publishing. I am doing everything in my power to get my work in front of S & S for a five-book deal, but Enchantment needs to generate good sales and marketing potential to be considered. I am utilising all forms of social media and attending as many book events as possible to get the word out and make my dreams come true, but the actual sales rely on consumers. This is why my readers’ social media posts and word-of-mouth are so important. The other option for publication is to get an agent. I’ve had several rejections so far from the agents I have pitched to, which I’ve heard is normal, but personalising every submission (amount of pages sent, synopsis or no synopsis, etc.) to individual agents is very time consuming. I’ve said it before, and I’ll say it again. Thank you all so much for your support and patience!! 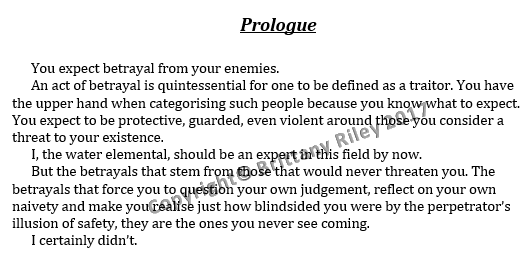 For now, I’ve pasted a snippet of the second book!